Mark was the son of William Ridley (1795-1881) and Sarah Offen (1799-1869) and emigrated to the United States with his parents in 1842. They lived in Ontario County, New York before relocating to Michigan. 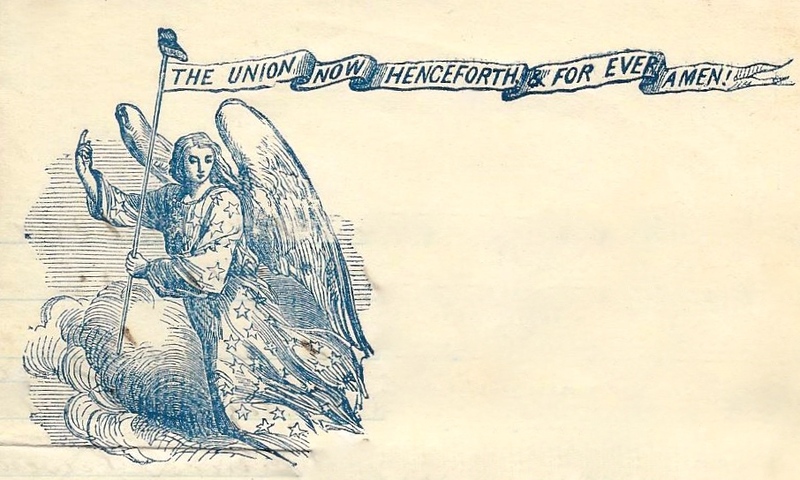 He was married in 1849 to Olive Lamunyon (or Lemunion). By 1860, the couple were living in Orion and they had four children. 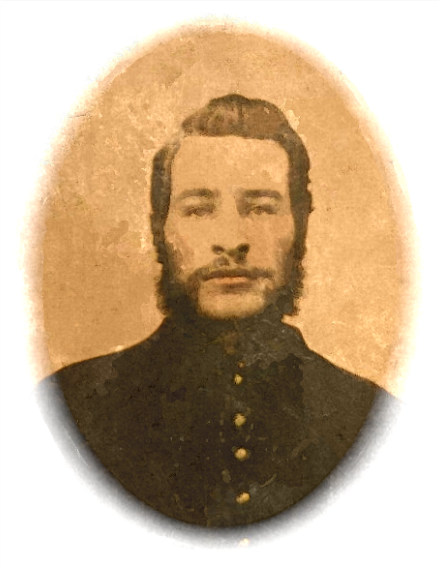 Mark served the duration of the war, re-enlisting in 1864 and in June 1865 he was promoted to 2nd Lieutenant. In 1870 he listed his occupation as a farmer but by 1880 he was a shoemaker again. He was living in Owosso when the 1894 census was taken. He was a Freemason in Owosso’s Lodge 81 at the time of his death. Lieutenant Ridley was at the Soldiers Home in Grand Rapids during parts of his last two years of life. The Michigan Pioneer and Historical Society reported the details of his death on March 1, 1899. He is reported to have died from “a nervous disease.” He is buried at Oak Hill Cemetery in Owosso. 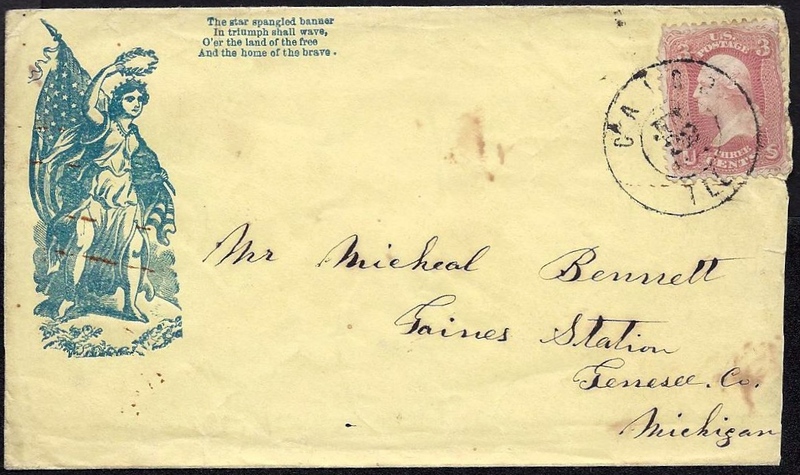 Mark wrote the letter to Michael Bennett (1830-1905) and his wife Ann Genett (1835-1920) of Gaines, Genesee County, Michigan. This morning I received your kind letter. You wrote that you was a little under the weather. You must be careful and not get clear down. My health has been poor since the first of July. I believe I have not done any duty since. Feel better now in all but strength. Our regiment can not muster over 150 men for duty if they should sink. There is in the hospital between 1500 and 2000 men. From six to eight die every day and find a resting place beneath the irony soil of Mississippi. This forenoon I went into another tent to see one of my company boys. The poor fellow will not last long. He wished me to read some out of the bible which I did. He was much pleased. He got so weak that he could not stand it to read. I am about eight miles from my regiment. I heard yesterday that the 10th and 14th Michigan were ordered to East Tennessee. I hear bad news from Tennessee. 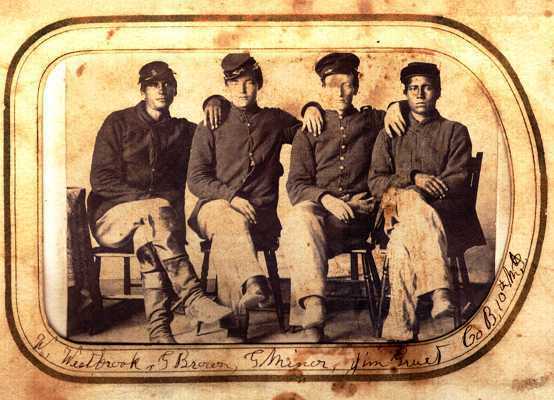 It is this — that the 8th and 11th Regiments of Michigan Volunteers have been taken prisoners. But this kind of work tires me so I will answer your questions and dry up. I hope you do not call 97º hot. What would you think of 104º for weeks and weeks? I do not have much chance to find J. J. Clark as his regiment is out to Booneville — almost 25 miles from where my regiment is encamped. He may be with his regiment or he may be at the landing or in some northern hospital if still alive. You ask how I spent the Fourth. I can easily tell. I was stretched on my bunk sick. I amused myself by listening to the salutes of the different batteries. I guess I listened to over 600 shots and heavy ones they were too. But I must stop writing. Please excuse all mistakes in both writing and spelling. It is nine months today since I enlisted. How time flies. Please write soon. Tell Hellen I received her letter and mean to make her wait as long as she did me which is three months. My best respects to all. This entry was posted on Sunday, August 31st, 2014 at 4:12 pm	and posted in Uncategorized. You can follow any responses to this entry through the RSS 2.0 feed. I agree with my cousin Robin. This is fascinating Griff. I am Mark Ridley and have photos of him when he was much older and I am in possession of the family bible given to Mark and Olive on their wedding day, May19th, 1849. Thank you Griff.